Perfectly roasted turkey? Check. Creamy mashed, roasted or scalloped potatoes? Check. Pie? Uh oh. But fear not: There are grocery stores open in the Washington region for those last-minute Thanksgiving dinner needs. WTOP has what's open and what's closed. WASHINGTON — Perfectly roasted turkey? Check. Creamy mashed, roasted or scalloped potatoes? Check. Cranberries? Check. 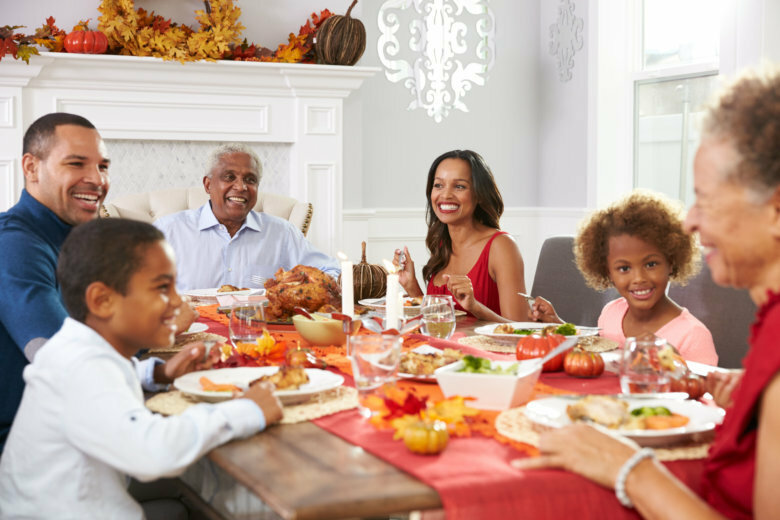 Memo telling family to avoid talking politics at the table? Check. Pie? Fear not: There are grocery stores open in the Washington region for those last-minute Thanksgiving dinner needs Thursday, Nov. 22. Balducci’s: Open until 4 p.m. Hours may vary slightly from store to store. Find a store. Balducci’s will even cater your Thanksgiving meal. Fresh Market: Open until 3 p.m. Check your local store for specific hours. Giant: Giant says shoppers should call their local store to specific hours since they will vary on Thanksgiving. For example, the Giant at on Wisconsin Ave. near Cathedral Commons will be open until 5 p.m. but the Giant on Park Road in Columbia Heights will be open 24 hours. Last year, the stores at 10400 Old Georgetown Rd. in Bethesda, Maryland, and 6223 Baltimore National Pike in Catonsville, Maryland, were open 24 hours and remained open on Thanksgiving. Find a store. Harris Teeter: Open until 2 p.m. Find store locations. You can also order your dinner for pickup online. Kroger: Kroger stores will be open Thanksgiving Day but hours will vary so call ahead of time. Find a store. Safeway: Mid-Atlantic stores will be open at their normal times (at 5 a.m. or 6 a.m.) but all stores close at 7 p.m. Find a store at Safeway’s website. Target: Opens its doors at 5 p.m. Thanksgiving Day for Black Friday deals, closes at 1 a.m. and reopens Friday at 7 a.m. Find a store near you. Walmart: Walmart’s Black Friday event starts at 6 p.m. but otherwise the stores’ 24-hour schedule is unchanged. Find a store. Wegmans: Open until 4 p.m. Pharmacy open until 1 p.m. Stores reopen 7 a.m. Friday. Find a store. Weis Markets: Keeps regular hours, open until midnight. Find a store. Whole Foods Market: Open until 2 p.m., then reopening at 8 a.m. Friday. Find a store. Yes! Organic Market: Most stores are open until 4 p.m. The one exception is their 12th St. location, which will be open until 6 p.m. Find a store. MOM’s Organic Market: Closed Thanksgiving. Get the best Thanksgiving stories at WTOP’s Thanksgiving section.